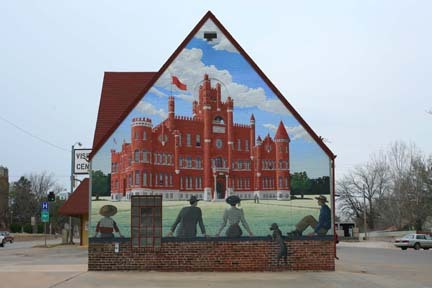 Alva is blessed with a college, Northwestern Oklahoma State University, established in 1897. 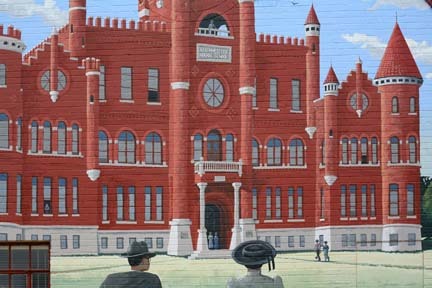 The first building was modeled after a Norman-French castle by architect John Foucart. The building was completed in 1898 and burned in 1935.